Green Eggs! | Eat More Plants. I swear, I was JUST (as in yesterday) talking to one of my fellow chicken ladies about how none of my new hens had laid an egg yet and HELLO GREEN EGG! We got four araucana chickens and three silkies this summer, in July I believe, and I was wondering why they still hadn’t laid any eggs! The first chickens we got a few years ago were barred rock and New Hampshire reds and they both started laying in about 20 weeks. 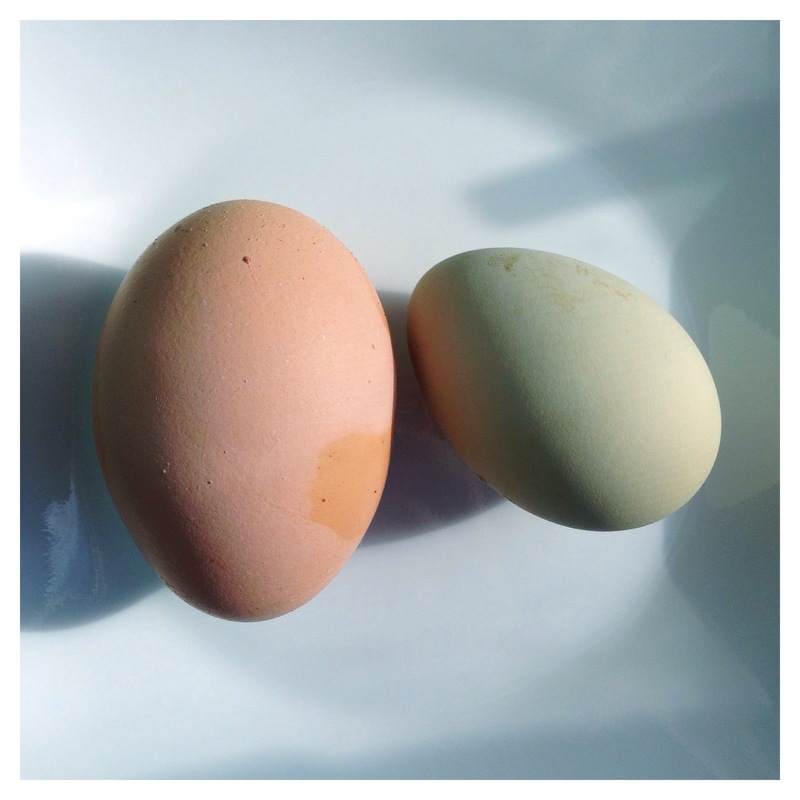 The araucana hens lay blue or green eggs which is why I was waiting (im)patiently to see the first beautiful egg. Just for size comparison, I photographed it next to one of my older girls eggs. The green egg is about the average large size that you would find in the grocery store! Our girls lay jumbo eggs; happy hens lay happy eggs!